Focussing on e-mobility, we established IPEC, a JV company to design and manufacture world class electric chargers for e-vehicles. Promoted by Meher, Bangalore, Sung Ho Electronics, South Korea and Deki, IPEC also offers a full charging software solution named “ChargeFlo”. We have now taken the next step in the e-mobility sector. Our colleagues at L7, Finland have developed a unique electric drive solution that simplifies the power train using parallel battery cell configurations. IPEC Drive Systems Pvt Ltd (IDS), the new JV between IPEC and L7 Drive, envisages to bring this revolutionary technology to Light Electric Vehicles (LEVs). 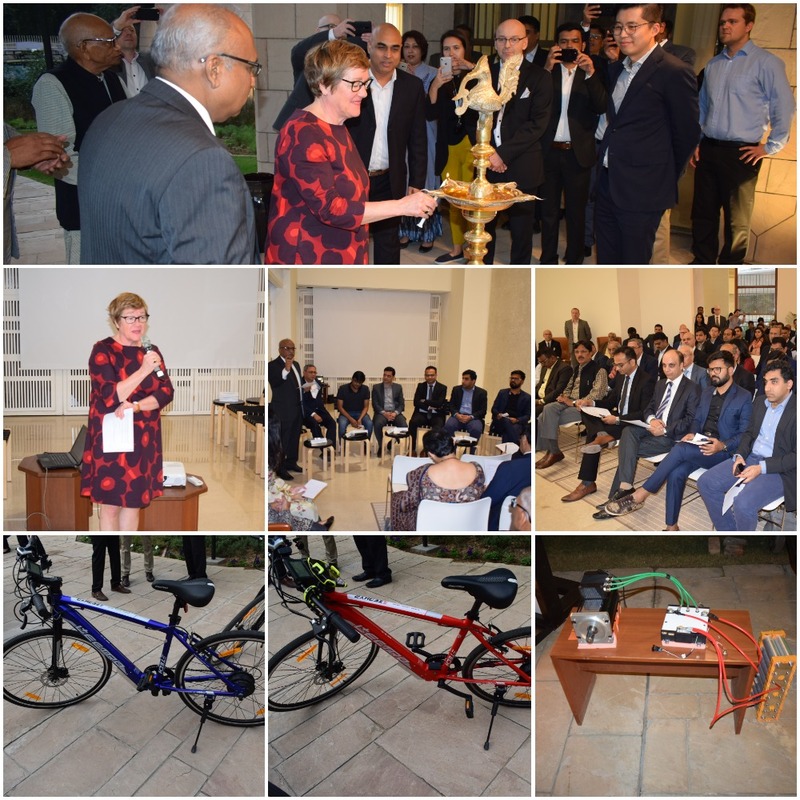 IDS was launched by Ms Nina Vaskunlahti, Ambassador of Finland to India, at the Embassy of Finland in New Delhi on 19-11-18. The launch was followed by a panel discussion on "LEVs and India – A high value opportunity" with industry leaders.